ESEUTIL is a tool to defragment your Exchange database offline and check the integrity of database and repair them. 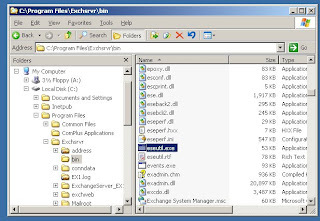 ESEUTIL is installed with the default Exchange installation. 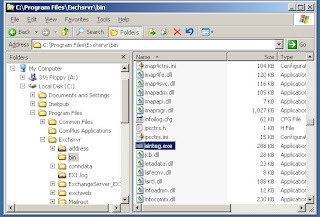 The program is installed into the 'Bin' directory in the Exchange Server (exchsrvr) folder. Start -> Run -> CMD -> cd "c:\program files\exchsrvr\bin\"
ISINTEG is used to perform tests and minor repair functions on Exchange databases. ISINTEG is an Exchange-specific tool. ISINTEG is installed with the default Exchange installation. The program is installed into the 'Bin' directory in the Exchange Server (exchsrvr) folder.